The Milk Mask, simple and natural beauty. The natural ph balance of our skin is 5.5, which means it is slightly acidic. "Ph" is referring to the balance of that acid and alkali on our skin. Foods and things we put on our skin disrupts our natural ph balance, especially soaps. Which is one good reason to use homemade soap and stay away from the drying agents of commercial soaps which remove the natural glycerin. making that awesome power drink KEFIR, you can also use that. 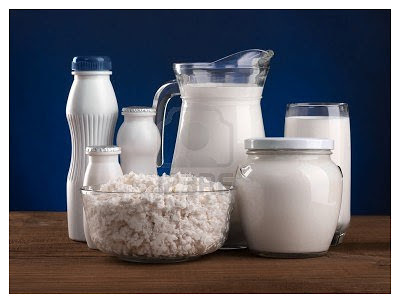 The cultured milk in these natural products will soften, and liven up your skin as it restores the natural Ph balance. Apply a small amount of your choice of cultured milk and leave on for 10 minutes. Then rinse well with warm water, finishing with a splash of cool water. Pat dry. Lovely! Enjoy natures goodness this winter! yes milk is beautiful. My skin is also just a little dry. I'll try your tip times. Sun does not need to spend money on expensive cosmetics. This sounds wonderful! I would love to have you share this on The HomeAcre Hop tonight! I'm trying this out now. Didn't have milk so using sour cream. You have lots of home recipes that I want to try. Need to make me some of the body scrub, my legs are so rough and dry. Now following you on blogger, Pinterest, and liked your facebook page. Thanks for sharing! Time to go rinse my face ;-D Have a great week! Linda, welcome to my blog, thanks for following. It's always a great compliment to have someone take time out of a busy day and visit here! I really like how my face feels after the milk facial. Sour cream and yogurt work best for me, so creamy and easy to apply. You will be absolutely amazed at how your legs feel after a sugar or coffee scrub! You'll want to do them every week! Linda, I just saw that you had a blog, so I went over there and wow, awesome! Such beautiful jewelry, love the Bohemian bracelets. Gorgeous. And lots of resources for crafters of any kind. To see Linda's blog "Mixed Kreations"